Here are a few things to consider when selling your home. The internet has revolutionised the way we buy and sell property, with some analysts suggesting that the sharp rise in the number of online estate agents operating in the industry will eventually spell the end of the traditional high street agents. In recent years, we have seen the likes of easyProperty, eMoov, Tepilo and YOPA, amongst others, shake up the UK estate agency sector, helping to provide vendors with more options when it comes to selling their home. But just what is the difference between selling your property with an online agent, a hybrid agent, and a traditional high street estate agent? An agent’s experience, track record, strength of brand, and above all else, local knowledge, can help them achieve the best price for your property. Often traditional high street agents, given that many have existed longer than their online competitors, claim that their local knowledge is far greater than any online agent, giving them a competitive edge. However, most online agents argue, and quite rightly so, that high street agents generally tend to use the internet to browse previously sold prices, such as our sold house price index. And if you choose to use a hybrid agent, such as YOPA, you’ll find they have local property experts whose knowledge of your area easily rivals the agents you’ll find on the high street. With hybrid and online agents offering to sell properties for a fixed free from as little as a few hundred pounds, many high street estate agents are under increasing pressure to consider changing their archaic percentage fee structure to remain competitive. When you consider what some high street estate agents charge for the services they provide, it is mind-blowing. The commission on a typical property in London, for instance, can often cost upwards of £10,000 + VAT, while a hybrid or online agent will rarely cost more than £1,000. Although many hybrid and online agents request that that you pay their non-refundable fees upfront, there are others which now offer deferred payment options, at no extra cost. Research by YOPA shows that the average high street estate agent made £3,431 in fees on average for every sale, based on Land Registry data which reveals that the average price of a property sold in England and Wales in January 2016 was £190,658. 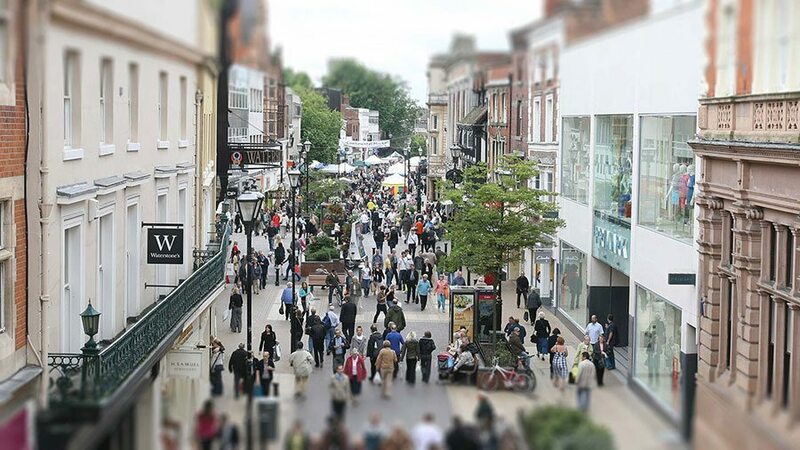 Given that a total of 77,170 properties sold that month, for a combined value of £20.7 billion, that equates to potentially more than £250 million paid out to high street agencies for January 2016 sales alone. When it comes to viewings, a high street agent will usually supervise applicants visiting your property, leaving you time to get on with other things. The same applies for a hybrid agent, who can send their local property experts to accompany viewings and manage the feedback and negotiation process for you. A standard online agent on the other hand can arrange the viewings for you, but you will generally be required to carry them out and show your prospective buyers around. This is not ideal because a) you may lack the professional touch needed when it comes to negotiating the best possible price for your property, and b) you are letting a stranger into your home unaccompanied, which in itself is a potential risk. You could argue that you have a choice between low fees or great service, however with the options now available it’s unlikely you’ll have to sacrifice one for the other. High street agents will undoubtedly cost more, but you are likely to benefit from a more personal service. However, although they have a high street presence, their offices are not open all hours, and many aren’t available during the evenings and throughout the weekend. Online estate agents will save you money and can provide the same level of marketing as traditional and hybrid agents, with coverage across all of the established online property portals. However, standard online agents provide a fairly basic and limited service, and can lack any real personal touch. Hybrid agents can provide the best of both worlds, with low, fixed fees and favourable payment terms, as well as local experts who will be on hand to conduct viewings and provide you with continuity of service. The service is available 24/7 and the few hybrid agents who are currently operating, such as YOPA, are building a strong reputation for selling homes quickly and for the best possible price. Before you make any decisions, remember you can use our free online valuation tool to give you a good initial indication of the value of your property.